So now... 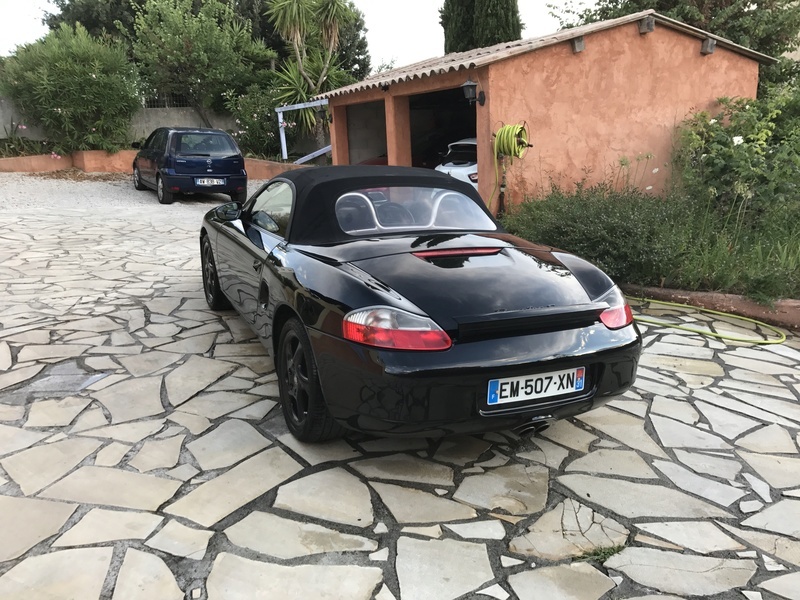 I'm back in a Boxster, but this time, it's an S! France drives on the right hand side of the road? Car looks awesome! That black with red interior is my dream color scheme, and those silver pieces add a nice touch. Track car with right hand side advantage? We don't, I got this one for 6000€ under normal price! It's not perfect, it needs a full service, there is a bit of rust behind the wheels (UK car), and needs new front sway bar bushings and links. Probably an engine mount too. Nothing too bad, the rest is in very good condition! It's got litronics, OBC, extended leather, painted console, seats and roll bar, sport seat, 3 spokes steering wheel and climatronic! Doesn't have the sport chassis, or the shock might be a bit old because it's really confortable! Can't wait to put an exhaust and plenum on a 3.2! Welcome back to the fold, Ben! 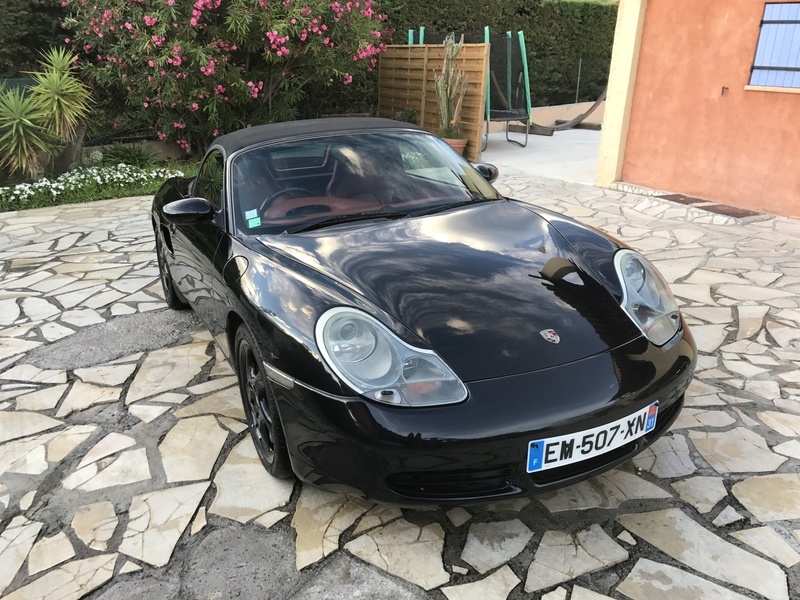 Nice boxster! 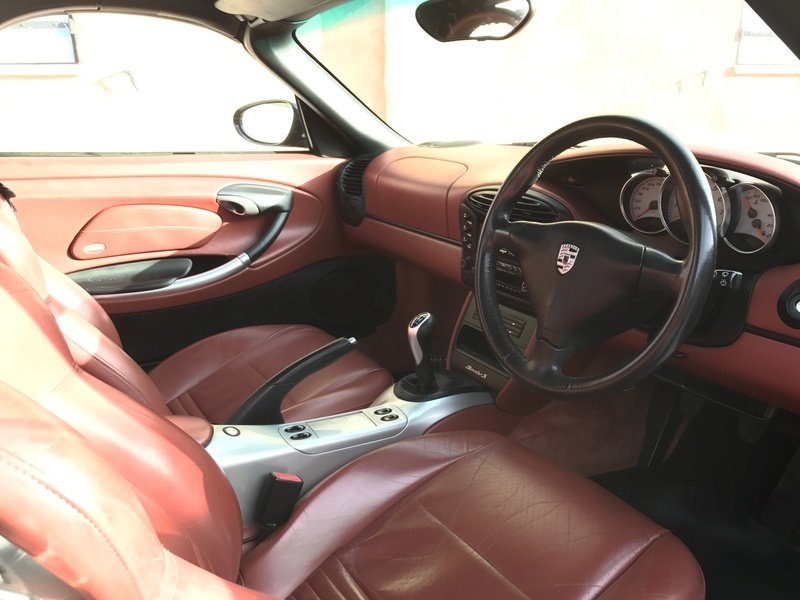 Take good care of those very rare red sport seats. Do your self a favor and switch it out for a paper filter. You'll find oiled filters do more harm than good. The one I had on my 2.7 showed noticeable gains over a clean paper filter too, both in sound and responsiveness. I found a Cargraphic decat, should be mine in a few weeks hopefully! I started ordering stuff for it, and a professional orbital polisher to give it back it's glory. I suggest cleaning your mass air flow sensor.....I bet it's dirty! I think it was like that for a while... so the engine is probably a bit carboned up too, I'll take care of that too. Nice pics and the car looks great! It looks really nice. How do you like driving from the other side and shifting left hand?